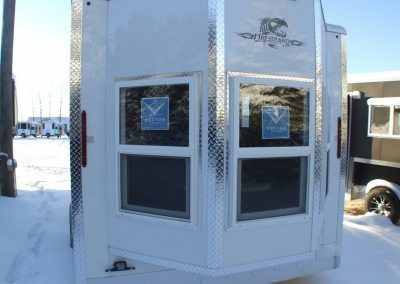 6.5’ shells range from 1200-1700lbs with 2 windows and a standard side entry door. 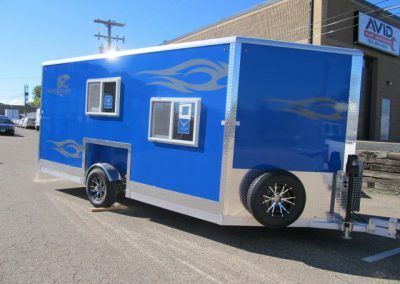 Available in 10’, 12’, 14’ and 16’ with a 3’ V front. 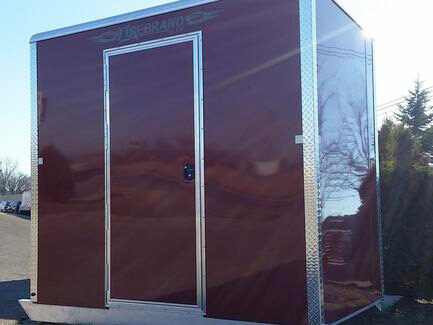 8’ shells range from 2,000-3,000lbs with 3 windows and a standard side entry door. 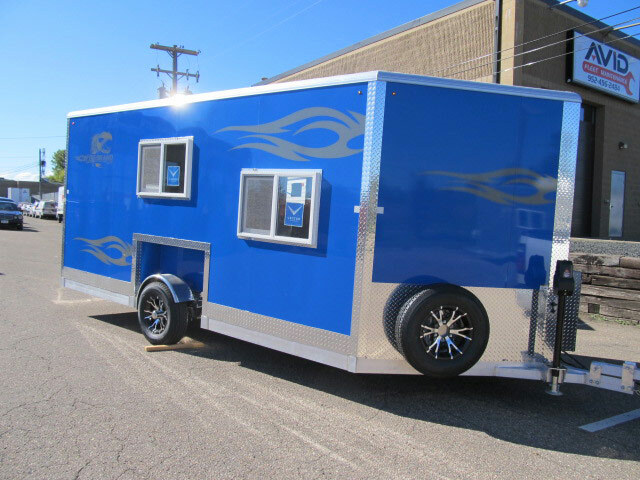 Available with single axel in 14’ and 16’, Tandem axle in 18’ and 20’ with a 3’ V front on all. 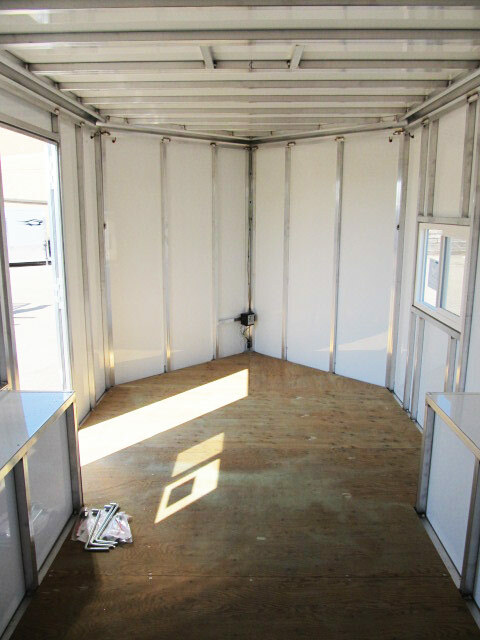 6.5′ shells range from 1200-1700lbs with 2 windows and a standard side entry door. 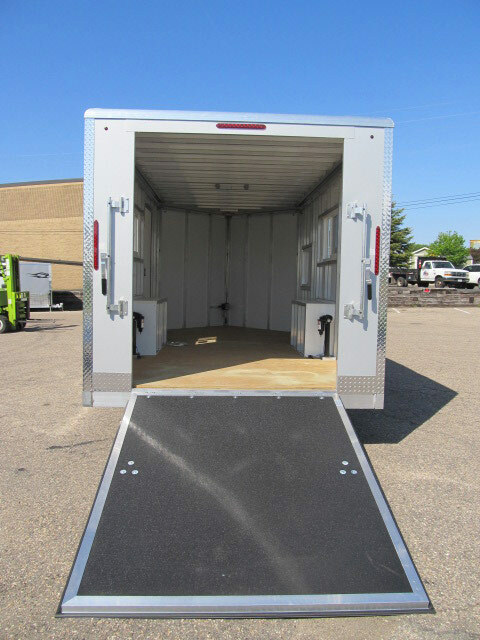 Available in 10′, 12′, 14′ and 16′ with a 3′ V front. 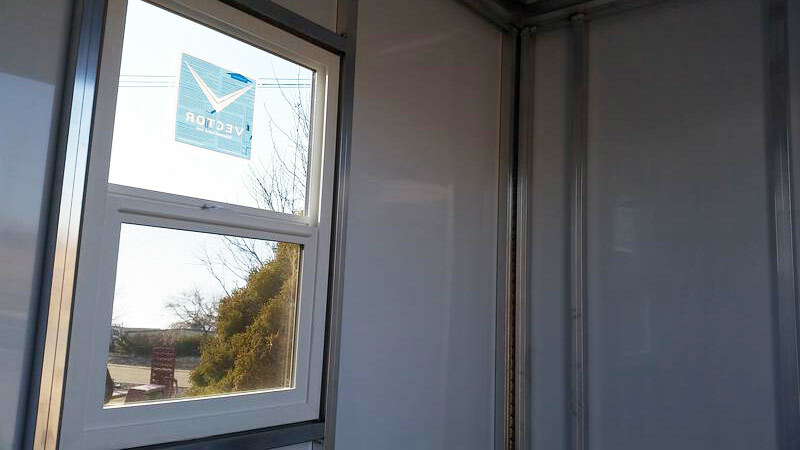 8′ shells range from 2,000-3,000lbs with 3 windows and a standard side entry door. Available with single axel in 14′ and 16′, Tandem axle in 18′ and 20′ with a 4′ V front on all. 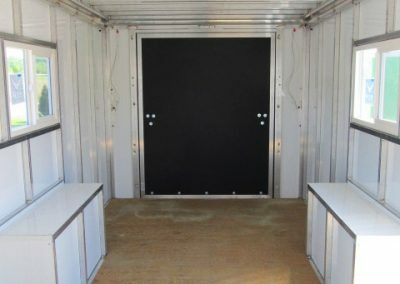 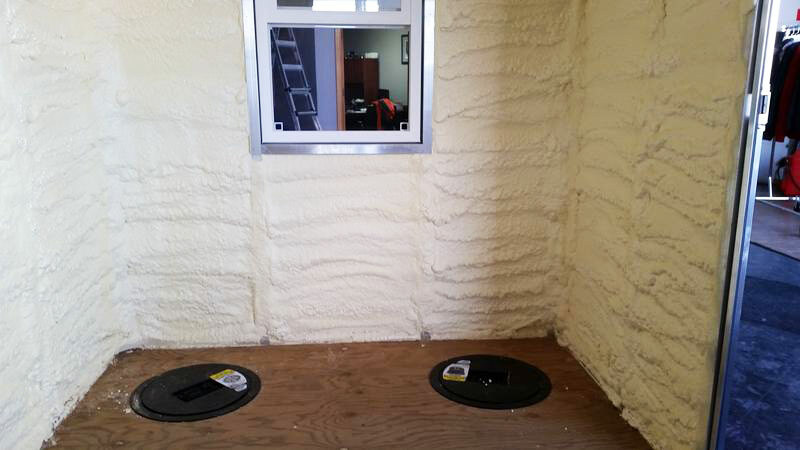 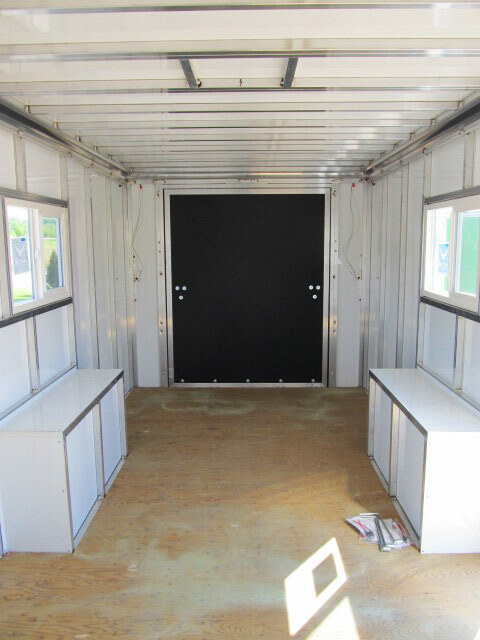 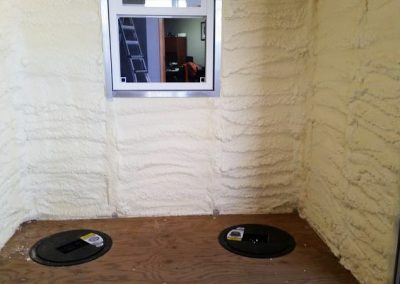 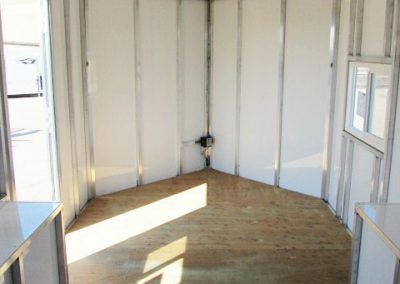 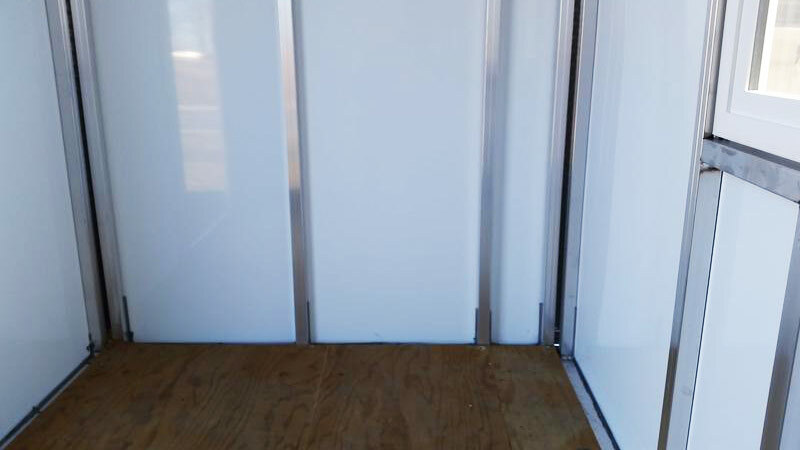 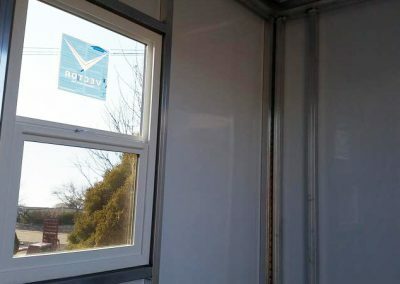 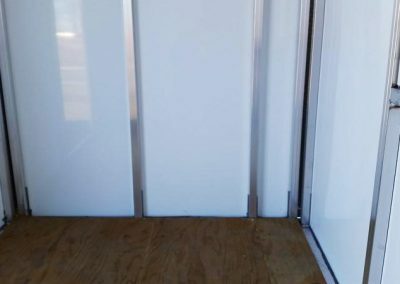 Skid houses are available in 5’x8′ and 6’x10′ with 1 window and 1 standard entry door. 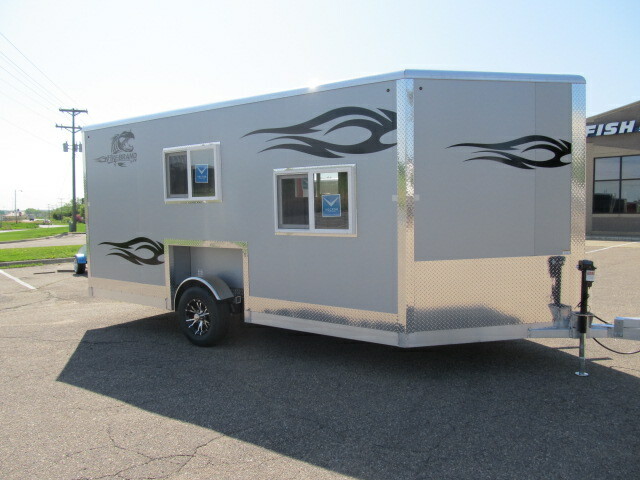 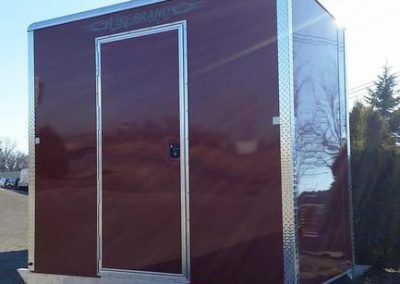 Firebrand Skid Houses are extremely light weight, all aluminum construction. 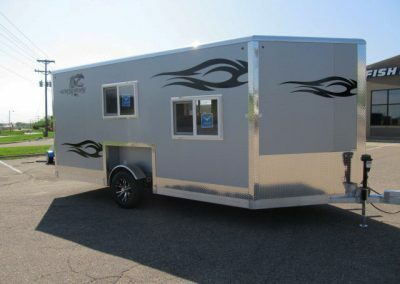 They are available with or without insulation and have optional tow hitch. Pull your skid house out onto the ice when you are just itching to fish, but it’s not quite time for your wheel house! 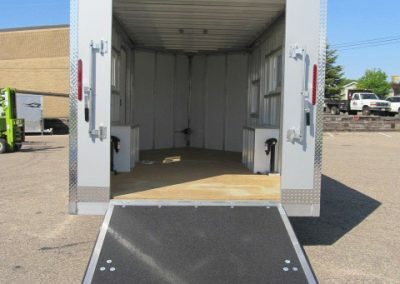 Just like our wheel houses, our skid houses can serve more than one purpose! Ask your dealer about how to use your skid house as a deer stand. 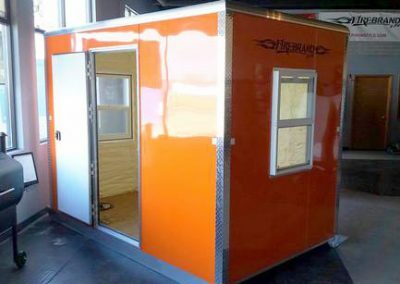 Our dealers are ready to talk with you about your new Firebrand Fish House – Contact any one of them today to get started!